TouchFish Story Missions are carefully crafted to guide you in decorating a truly memorable tank, while telling a nifty and humorous story. They aren’t just fun, though: they can be hugely rewarding (and we don’t mean in the “Boy I sure do feel good about myself!” rewarding. We’re talking TouchSilver, XP, and even TouchGold! Most Story Missions pay out TouchSilver and XP rewards, with more significant missions giving some really nice payouts. 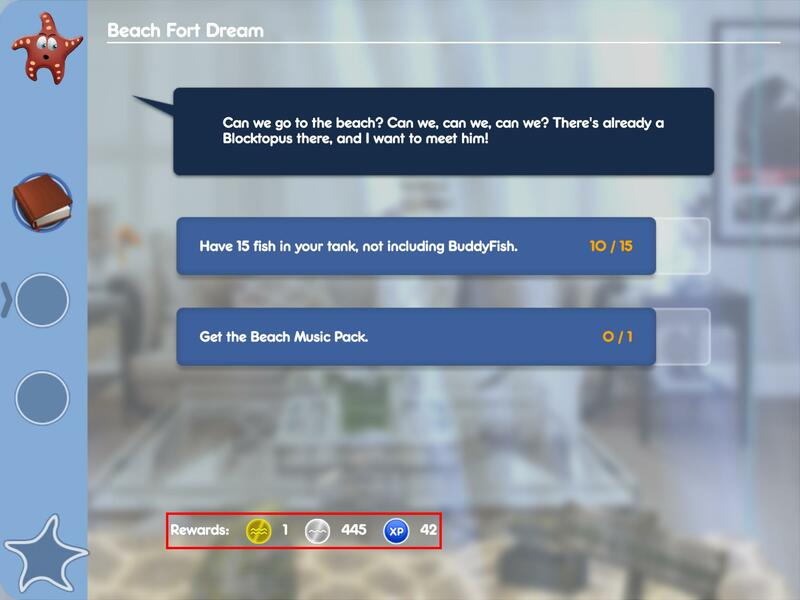 It gets better, though: TouchFish has Story “threads” where Stewart the Starfish guides you on building a certain type of themed tank, like a Beach Party or a Pirate Cove. At the end of these story threads, the last mission before you start a new adventure pays out TouchGold! So make sure to follow the Story Missions and don’t forget to read what Stewart says (he gets lonely in the tank just throwing pebbles at the fish).